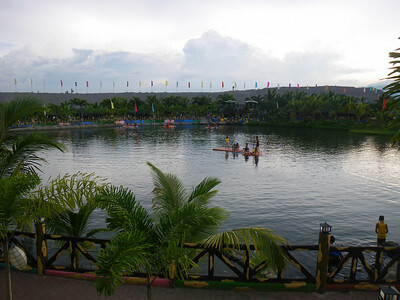 Poracay Resort is a hidden paradise located in Porac, Pampanga. 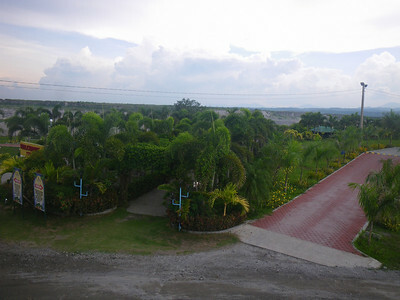 You will pass a quarrying site first before getting to the resort, which might make you wonder if you can buy wholesale diamonds there or whether you're actually in the right place but do not be discouraged by the trucks and lahar-like landscape. 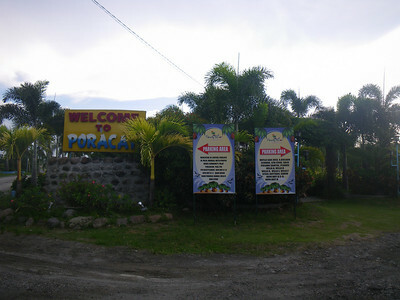 Poracay is a nice place once you get there. 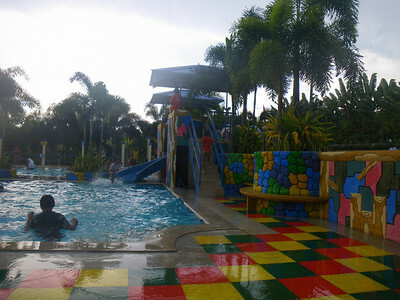 Day Swimming rates are P100 for adults (P80 for kids) and Night/Overnight swimming rates are P130/person (P100 for kids). 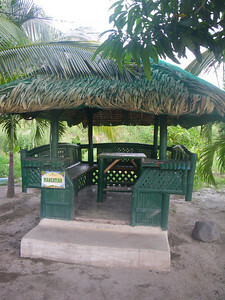 The cheapest nipa hut cottage costs P500 and these are the ones located around the lagoon, a little walk away from the pools. Any party of three or more has to get a cottage or some other kind of accommodation so day trippers are encouraged to maximize their visit by also holding a picnic there. The place only charges corkage fees for electronic appliances so you can bring in all the food you want. Should you get a villa though, there is a refrigerator and gas stove in each one. The place is like Paradise Ranch, a perfect place for weddings (if you won't mind the other poolgoers perhaps) and prenuptial shoot venue. 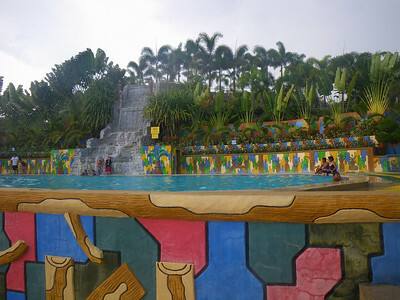 It has at least five pools, two of which are two feet (the rest are three, four and 5.5 feet) high. 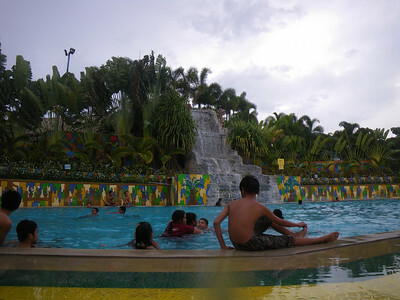 So yes, it's also a perfect wading pool for toddlers and kids. 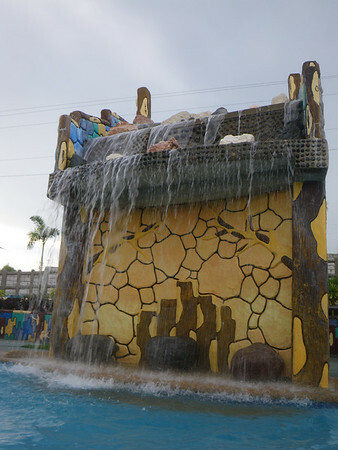 Two pools offer slides while the rest offer a waterfall-like feature. 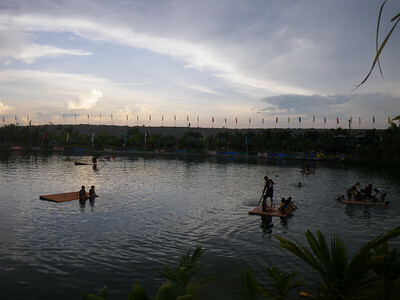 The resort itself is still a work in progress and the area is so big that it's potential is really huge. 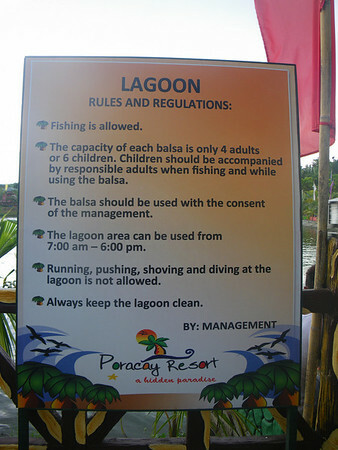 So when you're heading North and want to try a new resort, keep Poracay Resort in mind. I don't have great pictures because I was only using our waterproof cam and it was 4 PM and threatening rain when we got there so there wasn't enough sunlight to work with. how much the room rates if we will just stay of regular day not overnight? The accommodation is dirty (check their toilets, ceilings with cobwebs, dirty tv, etc), no cable channels, wifi signal is very weak, staff are not helpful. Accommodation is dirty (dirty toilet, dirty TV, dirty ceiling with cobwebs, etc) and service staff are not helpful. We also discovered that one of the cabinets has an old toilet seat with urine.